More and more platforms start offering audiobooks, as more and more users want to try an alternative way to follow their favorite stories. Audiobooks are fun. They are perfect driver companions. They make every long trip much shorter – and much more entertaining. They let you enjoy the story together with other members of your family or friends. Most importantly, audiobooks allow you to follow the plot when you wouldn’t be able to read. For instance, if you are cooking dinner or jogging in the morning. Or if you are on a long trip – and you are a driver. Narrator’s voice helps better imagine characters, interactions, and places in the book. The voice can create an addictive and memorable mood – something you would love to come back to over and over again. For people who better learn from what they hear that read, audiobooks are a natural learning tool. Others, who get easily distracted when reading a book, can be surprised to discover that an audiobook keeps them focused for long hours! In the list below, you will find major facts about audiobooks, accompanied by tips and useful links. 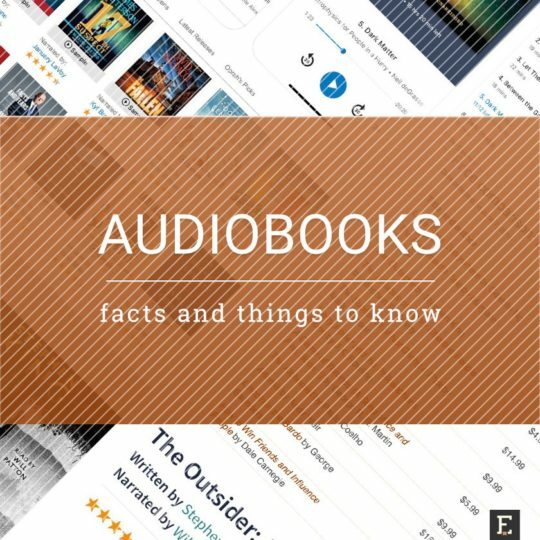 This guide will be helpful for anyone who wants to give a try to audiobooks and is ready to spend some time to find tips and answers to most essential questions. What’s the best tip for audiobook newbies? If you own an iOS or Android phone, make sure to download one of the free audiobook apps, and start listening to your first audiobook in a matter of seconds! People who started buying ebooks are used to prices that are lower – sometimes considerably lower – than print editions. What’s more, there are several deals on ebooks, which enable users to get favorite titles at prices cut to a range between $0.99 and $2.99. Yes, but there is another cost-generating factor. It’s narration. An average novel contains 80,000 words. It translates to about 9-10 hours of narration. The cost per finished hour ranges between $100 and $500. So, the cost of producing an audiobook of a 100,000-word novel narrated by a recognized voice can easily exceed $5,000. 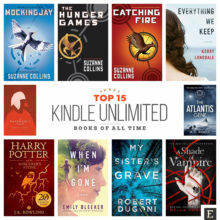 As you’ve seen in the table above, regular prices of Kindle editions of popular books usually cost between $4.99 and $15.99. Most Kindle users, however, have learned how to get their favorite books via Kindle deals. 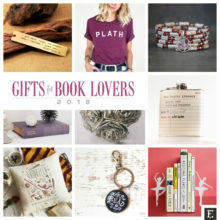 Featured in Kindle Daily Deals, monthly lists of discounted Kindle books or limited-time offers for hot shopping seasons (such as Prime Day or Cyber Monday), some Kindle bestsellers can be grabbed for prices cut to $3.99 or below. Frequent price cuts are not a part of the audiobook world. Sure, Audible and other audiobook platforms offer daily deals similar to Kindle Daily Deal or Nook Daily Find. However, massive audiobook deals are not offered that often and are usually not that deep as the ones on ebooks. The biggest one we’ve observed so far was Audible’s response to launch of audiobooks in Google Play Store. Prices of almost 200 Audible books were cut to $0.99 – $3.95. 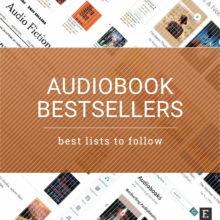 Deals on Audiobooks.com – the platform offers their members weekly deals on audiobooks in popular categories. Members can also vote for the deal they would like to see. 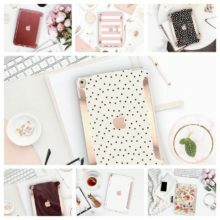 When buying a tablet or smartphone, people are interested in its memory space if they are planning to play or record a lot of videos. Audiobooks? They require much less space than video. Many users think audiobooks are just like music. What’s more, audiobook files use typically less space than music for the same duration. A music album that consists of ten songs should take around 40-50 MB of space. This space should accommodate one, two, or even more audiobooks, right? Not quite. The reason is simple. Audiobooks are extremely long. An average length of an audiobook is 10 hours. Each hour of Audible audiobook requires approximately 28-30 MB of space when you download it in high quality. For the standard quality, it’s 14-15 MB per hour. The Handmaid’s Tale by Margaret Atwood is a medium-size novel that has 320 pages (approximately 90,000 words). 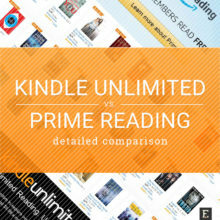 Its Kindle edition takes 3 MB. Listening length of an Audible version of The Handmaid’s Tale is 10 hours and 26 minutes. Assuming that we choose standard quality, it is approximately 150 MB. In other words, one audiobook takes space of a few music albums, not the other way round. As you know, Kindle e-readers can play audiobooks again. It’s done via headphones or speakers connected via Bluetooth. 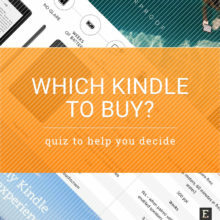 Many users plan to fill their new Kindles with hundreds of books. Who knows which one would I like to pick up during my summer holidays? While Kindle’s limited internal memory (compared to a tablet) is not a problem when you download ebook files, it brings a big question mark the moment you start thinking about Audible audiobooks. 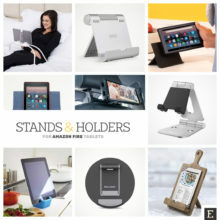 2nd-generation Kindle Oasis is Amazon’s first e-reader to support audiobooks, after a long break since the 2011 Kindle Touch. 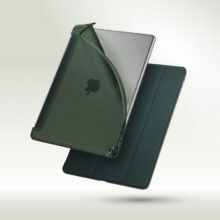 The Oasis comes in two storage versions: 8 GB or 32 GB. The latter one, after you take out system files, has approximately 27 GB of internal memory for the user. 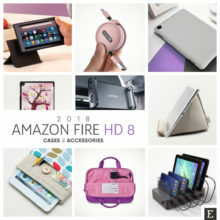 If you have discovered that audiobooks are your thing, and would like to keep on your device as many of them as possible, consider getting a Fire tablet. Each Amazon Fire model comes with a microSD card slot. Thanks to that, you will be able to extend memory by up to 256 GB. It means over 17,000 hours of listening! The times when the primary way to listen to audiobooks was a CD player are over. Now, audiobooks, just like ebooks or music, can be downloaded and listened to on most devices: tablets, smartphones, or e-readers. In most cases, the only thing to do is to download to your device a relevant audiobook application. 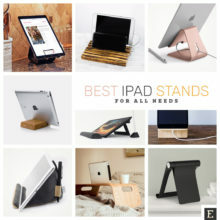 We list the best ones for iOS and Android at the end of this section. It seems that one smart home gadget is more suitable for playing audiobooks than any other device. It’s a smart speaker. 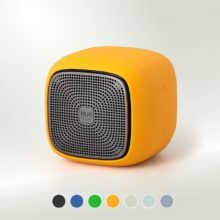 Several models are available on the market, naming only Amazon Echo, Google Home, or Apple HomePod. Why are they better audiobook players than tablets or phones? Because you can start an audiobook with just your voice. As we’ve already discussed, audiobooks are more (sometimes much more) expensive than ebooks and print books. When seeing a price set between $20 and $30, you’ll think twice before hitting the “Buy” button. Fortunately, audiobooks can be bought not only the traditional way (paying separately for each one) but also in a subscription model. For instance, in an Audible membership program, you can get one credit per month for a free audiobook regardless of its price. Plus you can save up to 30% in exclusive member audiobook deals. After you sign up for Audible subscription, you get two free audiobooks for a good start. After 30 days of free trial, you will pay $14.95 per month. It roughly equals half of the price of a bestselling audiobook. Audiobooks.com – $14.95/month after 30-day trial. There is another – and in my opinion much better way – to get access to interesting audiobooks. I’m talking about subscription services that give access to different benefits – and one of them is an ability to listen to audiobooks. Kindle Unlimited – Amazon’s popular digital subscription, besides about 1.5 million Kindle books and magazines, gives also access to over 20,000 Audible narrations that you can seamlessly play in your ebooks. Have you ever tried to switch the ebook platform? 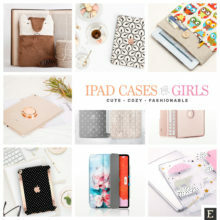 Decided to move all your Kobo books to Kindle ecosystem or the other way round? If yes, be prepared for similar pain when it comes to audiobooks. The reason is that different audiobook platforms use DRM (Digital Rights Management) systems to prevent bought files from the unauthorized distribution. It means that most probably the audiobook you download from one platform can be only opened using apps and devices authorized by this platform. When you buy an audiobook on Audible, you can open it with an Audible iPhone app or an Audible app for Amazon Fire tablet. If you try to open it with Google Play Books app on your Android tablet, you won’t succeed. Therefore, it’s essential to spend some time to check out and compare audiobook stores, pick up a few best ones, and compare them in detail. The last thing shows how tremendous are the possibilities of books that are converted to a digital format. Have you heard of Whispersync for Voice? It’s a technology developed by Amazon, which lets Kindle users add audiobook companions to their Kindle books, and enjoy following the story either by reading or listening to it. How does it work? Imagine you start reading a book in the evening on your iPad, using a Kindle app. When you wake up in the morning and go out jogging, you can use the Kindle app on your iPhone – but this time switch the mode to audiobook playing. The narration will start precisely at the location you stopped at last night. Cool, huh? Audiobook narration is an option available for over 60,000 Kindle titles. It’s not the same as the audiobook bought in the Audible store, although powered by Audible.